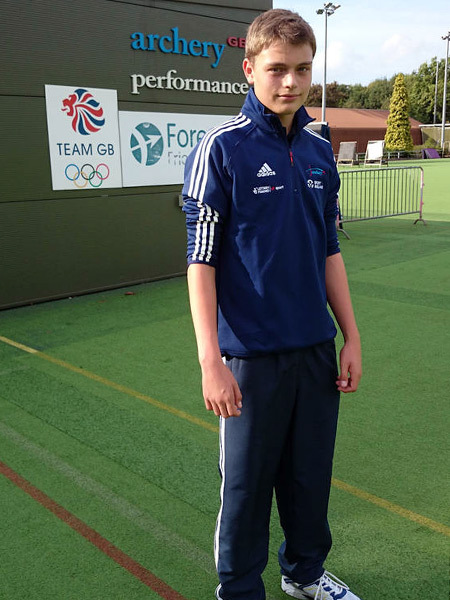 My name is Thomas Nairn and I am 15 years old, I have been shooting recurve for five years and I have recently been accepted on the Archery GB Talent Performance Academy. I hold junior master bowmen status for under 14s and after moving into the under 16s category at the end of April, I have already retained my junior master bowmen status for this age group. I compete in many competitions and represent Alsager Co. of Archers, Cheshire County team and Northern Counties; I also practice at Greenbank Co. of Archers. I follow the Archery GB training schedule throughout the week, which consists of shooting, using training aids, strength and conditioning and attending the local gym. I am selected to shoot for GB in the first stage of the European cup in Hungary in May 2016.